Helping someone deal with the loss of a loved one is never easy. When it’s hard to find the words to say, sending funeral flowers for the service, or sympathy gifts to the home, are a common way to express your deepest condolences. Below are helpful funeral etiquette tips for you to be able to lend your support during a difficult time, along with helpful recommendations based on your relationship with the deceased. If you’re in search for sympathy etiquette for different religions, we have specific content about that, too. 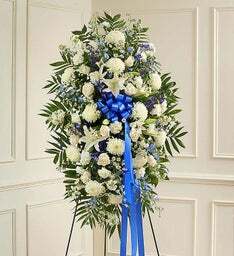 Sending Flowers to the Funeral Service If the deceased is an immediate family member, then larger, traditional pieces such as funeral standing wreaths and hearts, standing crosses, large floral standing sprays and casket flowers are appropriate. Often, family members as a group send one large piece or a combination of pieces. These large specialty floral pieces are often placed next to the casket. 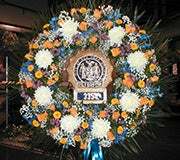 Whether you’re sending funeral standing sprays, funeral standing wreaths, or funeral standing baskets, the nice thing about this option are the fact that the sprays are often able to be catered to fit the personality of the deceased, making for a very personalized experience. For example, if you know the deceased loved the color purple, a standing spray with purple flowers, may be a good funeral flower choice. If you know the deceased was very involved in the church, a standing floral cross may be a good option.in a cemetery or cremated. This may be followed by a meal, either at a restaurant or at someone's home. Of course there are always different levels of friendship, from good acquaintances to best friends. Depending on your closeness, it may alter the sympathy gift you choose for those in mourning. Chipping in with a group of friends, also will change your decision. For close friends, and large friend groups, standing sprays or abundant flower baskets to be placed on display at the funeral service, are always a safe and thoughtful choice. For looser relationships, sending a modest funeral flower arrangement for the service is a very nice gesture. If you are unable to attend the services, it is generally appropriate to send your condolences to the grieving family's home. 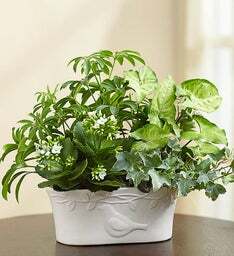 Traditional choices for a sympathy gift to the home include an elegant vase of flowers, basket arrangements or sympathy plants. Sympathy gift baskets have also become a popular and thoughtful gift to send to the home. Whether looking for savory options, or sweet options, there are many gourmet sympathy gift baskets of comfort food to choose from, with everything from meat and cheese to cookies and chocolate. Professional colleagues will generally send a group gift. An appropriate floral arrangement for the service might be a standing spray, standing basket or fireside basket. 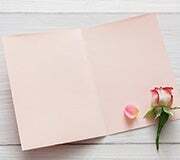 In most cases, a note or card to the family is appropriate and sufficient to express your sympathy to the family of a deceased work colleague. If you worked closely together, you might send a sympathy flower arrangement in a vase, a dish garden or blooming plant. Fruit, food or gourmet baskets are also appropriate and would be appreciated. 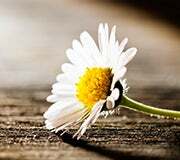 If you are still unsure of what to get for a family in mourning, one of our skilled and compassionate Sympathy Advisors, is available to help. 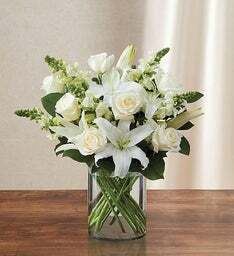 You can reach the Sympathy Customer Service line toll free at 1-866-538-2259, or online through live chat assistance at www.1800flowers.com.